Europe is blazing the trail trying to eliminate the dearth of incompatible chargers which eventually end up in landfills by cajoling the top 10 mobile device manufacturers (Nokia, RIM, Apple, Motorola, Sony Ericson, Samsung, etc) into adopting the Micro USB plug as the standard charger interface to smartphones. Most of today's smartphones use the Mini USB plug as the charging and data interface so why did they choose Micro USB. Size; because the Micro USB connector is smaller is offers manufacturers more options as devices get smaller and/or thinner. Durability; interesting enough the Micro USB connector can withstand 10,000 cycles of insertion and removal compared to 500 for Mini USB connector (Wikipedia). I can vouch for that having experience connector failure on multiple devices with Mini USB connectors. Another benefit to manufacturer will be the cost savings of not having to include a charger with the device. Some of the USB connectors from left to right; Micro B plug (Micro USB), Mini B plug (Mini USB), Type B plug, Type A receptacle, and Type A plug. What will manufacturers with proprietary connectors like Apple's 30 pin dock connectors do? My sense is that they will provide an adapter, since like Apple most manufacturers want to keep control of accessories. We all know that iTunes is the core of the iPod ECO system, however one part of the ECO system which gets little publicity is the dock connector. Over the years Apple has tweaked the connector design and added some device/accessory identity functionality, but the basic functionality has remained the same. The device/accessory functionality alerts you that a certain accessory has not been certified by Apple and could create an issue with your device. This has not stopped companies from producing accessories that work (at the user's risk) across iPod/iPhone models and generations. As more and more dock connector compatible accessories are developed, they are starting to permeate our lives. Two key places are the automobile and the hotel room. 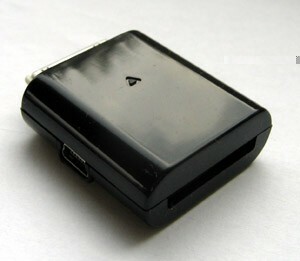 Most newer automobiles have options for an iPod/iPhone interface which uses the dock connector. I am also finding that hotels which have recently refurbished their rooms are likely to have clock radios with dock connectors. First here is a good video from the Wall Street Journal which shows the differences between the Kindle 2 and the DX. $489 is a steep price, but the talk of subsidies could make the DX more palatable. Look at the cell phone model and specifically the iPhone. Although the problem will be how much of a subsidy is reasonable given a paper subscription averages about $15 a month vs. AT&T minimum plan of $70 a month. The $199 iPhone pricing skyrocketed sales; in order to meet that figure newspapers or magazines would need to subsidize $290 of the DX's price. Over a 2 year subscription that is $12 a month. This does not leave newspapers or magazines with a lot room to work with. Maybe a subsidy of $130 or $5.41 per month is more appropriate making the DX the price of a Kindle 2. I have a feeling this is the target they are shooting for. This will be an interesting experiment. Will individuals be swayed by the screen size and readability factor or just purchase a Netbook for that price? I think the DX will be a dud unless it is subsidized; still with a subsidy I find it expensive compared to a Netbook and its functionality. Do you really want to carry around another device? Over the years I have been trying to carry around fewer devices. When I travel I carry a small factor laptop (Fujitsu U810), an iPhone or Windows Mobile device, a Sony HDRCX12 camcorder and an iGo multicharger. I can fit it all it into a small over the shoulder bag. Do I want to add a Kindle 2, probably not…and certainly not another device the size of a Kindle DX. An interesting tidbit from Jeff Bezzos was that books with a Kindle version derive 35% of their sales from Kindle users. Over the last couple of months I have been leaning towards purchasing an E-Reader to carry around the manuals which I use for my work as a consultant. Although most of the information I need is readily available on the web, it would be nice to have access to books as well. The big drawback to acquiring an E-Reader has been the price and since I am not avid novel reader, I have a hard time justifying the purchase. The possibility of sharing the device with my wife (she is an avid reader), makes the purchase more palatable although she checks books out of the library. The obvious choices are the Amazon Kindle or the Sony line of E-Readers. Last weekend, I decided to do some research to see if it was possible to download content from my local library to an E-Reader. The public library does support the mobipocket and the NETLIBRARY ebook formats. The Kindle and the Sony do not support the mobipocket format directly (you have to convert), however the Sony does support NETLIBRARY. Mobipocket refers to 5 standalone E-readers sold by Bookeen, iRex, Jinke, and BeBook which directly support their format. These are not household names but it shows there is competition and the market has room for growth. By coincidence today Amazon will be announcing a larger format Kindle suitable for magazines, newspapers and textbooks and there are rumors that Sony will be announcing a wireless broadband enabled E-Reader. The Apple iPhone 2.1 update has helped the battery life of my iPhone 3G, however I still need a quick charge in the afternoon to make it into the late evening. I found this great little accessory which will help out during those times where a quick charge using a wall outlet, car charger, or USB port is not feasible. 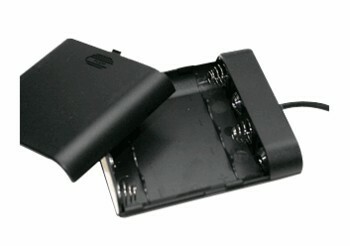 Gomadic sells a battery backup which allows you to charge the iPhone 3G or any other mobile device they have a compatible exchangeable power tip. The unit works with 4 AA batteries which is much better than a rechargable backup solution since AA batteries tend to keep their charge longer when not used.. The Gomadic battery backup. I wrote a review of the Gomadic power accessories back in 2006 and I am still using them today. They also now have a dual charger which allows you to charge two mobile devices at once. With the iPhone 3G and the Touch, Apple decided to abandoned the 12 volt DC Firewire charging in favor of the 5 volt USB charging. The unfortunate result for owners of older accessories is that they may not charge the iPhone 3G or Touch. Some innovative Swedes have come up with a solution. A little dock connector adapter which converts the Firewire 12 volt leads to the USB 5 volt leads. I reported on earlier but it is now available and shipping.